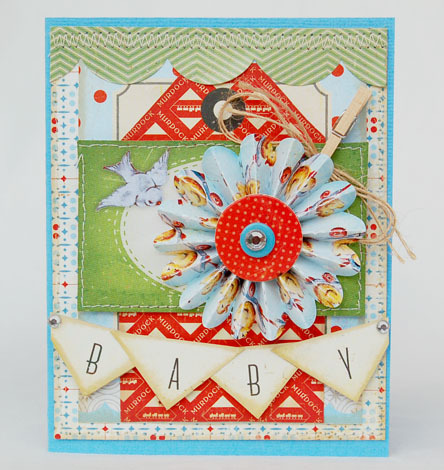 Bits and Pieces...: New Crate Paper! Have you seen Crate's new Lullabye line? 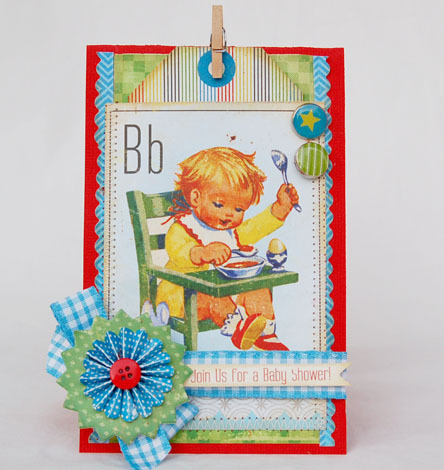 It's full of sweetness, vintage elements and lovely colors! I know I'm a bit biased, but I LOVE it all. The entire boy collection is already up on the Crate Blog﻿, but I wanted to share some of my favorite images. Isn't it adorable? I'm in love with the wood veneers! I had the chance to play with the new line and made several cards. These first two are perfect for giving to a new baby. I used the lighter colored back side of the wood veneer frame on this one. 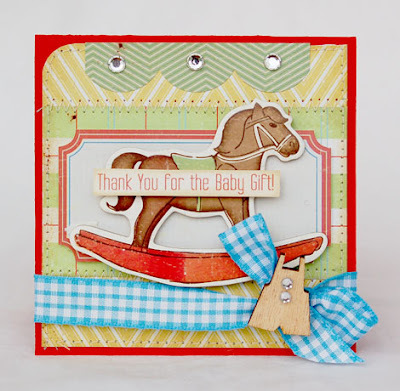 I thought this would make a cute thank you card from a new mother. 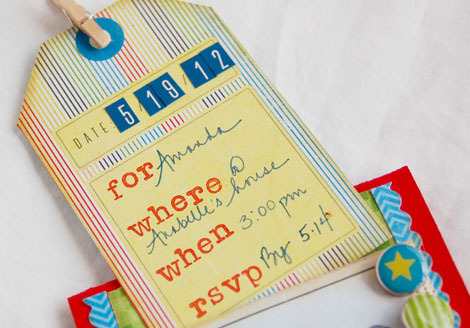 And here I made a pocket card with a pull out tag to serve as a shower invitation. I love these cards! Definitely a versatile line. Before I was thinking I might have bought this if I'd had boys, but you have opened my eyes to how versatile it can be. Looks so lovely! Love what you've done with this collection, beautiful. I just love your cards Anabelle! So So sweet Anabelle! I love each and every one!! These are so amazing. I was so afraid since it's a themed line but i just love the whole collection! LOVE. I have a few baby things I need to make in the next few weeks ... this collection would be perfect. Thanks for your generosity. Fantastic job!I can see me in my room from http://roomstogrowusa.web12.hubspot.com/hobbyrooom/ doing my best to re-create your projects! Wow you're cards are adorable, so cute! Crate does it for me everytime!! Love your projects! oh wow!! 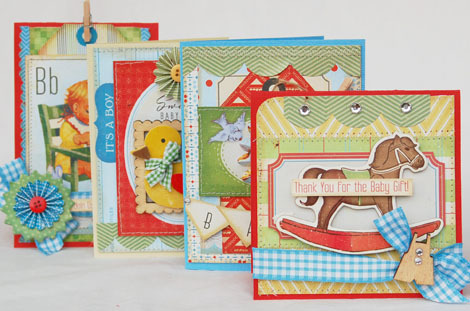 what cute cute cards!! they are just gorgeous Anabelle! hope you're well! WOW!!! Breathtaking! I`m in love. Such cute cards!! Oh my goodness, these are all gorgeous! You showcased this line beautifully! 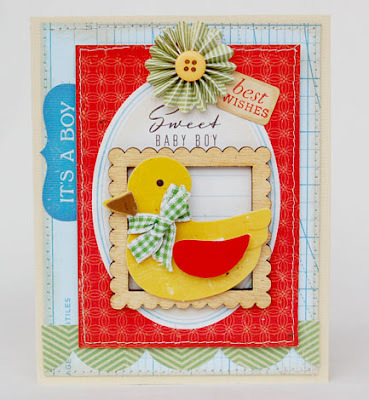 Webster's and Unity Blog Hop!